The Imperial Cal ICNEW20 Compatible Range Filter is constructed with an aluminum frame, surrounding layers of expanded aluminum and aluminum foil. The Imperial Cal ICNEW21 Compatible Microwave Filter is a compatible range hood filter that reduces grease, dust and smoke, while re-circulating filtered air back into the kitchen. The Imperial Cal ICNEW22 Compatible Aluminum Filter reduces grease, dust and smoke, while re-circulating filtered air back into the kitchen. The Imperial Cal ICNEW23 Compatible Grease Air Filter measures 18 1/4" x 23 1/4" x 3/8" and is a washable filter. 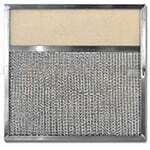 The Samsung DE63-00367A Compatible Grease Filter is a combination aluminum and carbon-poly range hood filter. 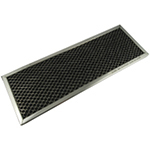 The American Metal Filter RHP0701 Range Hood Filter is a disposable filter uses a combination of carbon and aluminum for extra-thorough air filtration. The American Metal Filter RHP0802 Grease & Odor Filte ris used in a variety of ductless microwave ovens, range hoods and other compatible applications to remove grease and odors from the air. 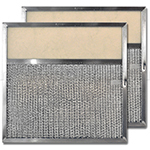 The American Metal Filter RHP0803 Grease/Odor Filter uses a combination of carbon and aluminum for extra-thorough air filtration. In Stock! Ships in 23 to 24 business days. 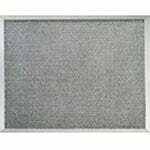 The American Metal Filter RHP0805 Grease/Odor Filter is a disposable range hood filter. 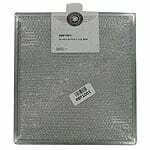 The American Metal Filter RHP0806 Combo Range Filter is a disposable filter that is made with an aluminum frame that surrounds a layer(s) of expanded aluminum, aluminum foil and polysorb carbon.